Loving one another is not optional. Loving one another means loving every believer. 1. EROS—The word "eros" is used to describe the love of pleasure, the love of that which pleases me. 2. PHILIA—The word "philia" is used to describe the love of attraction. It is the warm love and affection that we have in a close friendship. 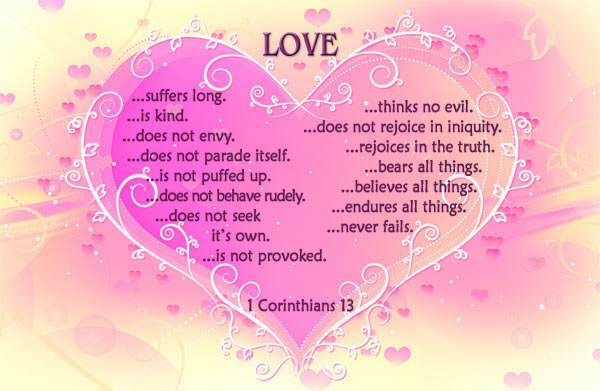 These verses help us to understand what AGAPE love really is. AGAPE love is that love which gives and sacrifices for the highest good of another person. 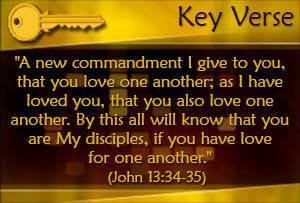 The main characteristic of AGAPE love is that it is utterly unselfish. It does not seek its own interests but always seeks the best interests of the other person. In ourselves we do not have the kind of love that the Lord commands. But God never commands us to do something without enabling us to do it. 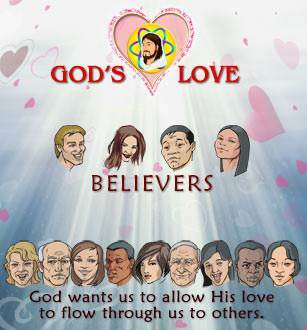 God's love flows through us to others as we yield ourselves to Him to be channels for His love. 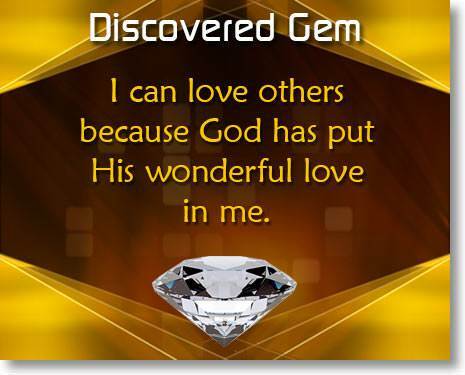 We can say to someone, "I love you because God has placed within me His wonderful love for you." This AGAPE love is so powerful that it can enable us to love even our enemies. 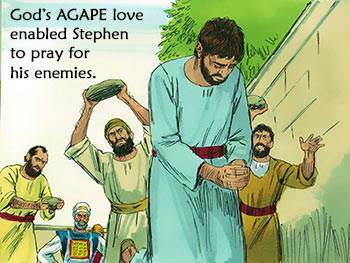 It was AGAPE love that enabled the first martyr, Stephen, to pray for the very men who were stoning him to death. STEP 1: I must confess my lack of love as sin. That lack of love in my heart, which we will call "unlove," is sin. When my heart attitude is wrong, I must acknowledge it and confess it to God as sin. The blood of Jesus Christ cleanses me from all sin confessed as sin, but it does not cleanse me when I excuse myself. Next, I must exercise my will and choose to be delivered from the sin of unlove. Love is not just a matter of the will, but I will never be delivered from the sin of unlove unless I exercise my will and choose to be delivered. I must say, "I choose to be delivered from this sin of unlove." STEP 2: I must count on the fact that, in Christ, I died to the sin of unlove. STEP 3: I must choose to love that person. I cannot control my feelings, but I can control my will. I cannot make myself have a feeling of love toward someone, but I can choose to love that person. If I make that choice and hold to it, I will find that my feelings will, in time, follow the choice of my will. 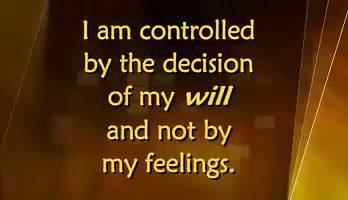 The important thing to remember is this: I am controlled by the decision of my will and not by my feelings. STEP 4: I must trust God to do what I cannot do. Paul said in Romans 7 that he could "will" or choose what is right, but that he could not of his own ability do it. Paul learned that he had to depend on the Holy Spirit within him to enable him to do it. This is true of us also. I may choose to love someone I don't love but I will discover that in myself I cannot do it. 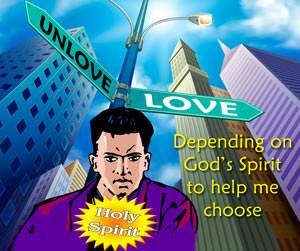 I must depend on the Holy Spirit within me to enable me to do it. He will do this, but I must make the decision. I must say to God, "Lord, I choose to love that person. In myself I cannot do it. I am trusting You to enable me to do it." STEP 5: I must pray that person into my heart. Sometimes, even after I have asked God to work, nothing seems to happen. What do I do next? I begin to pray for that person. I pray that God will bless that person. I pray that God will bless him and help him. Often, as I pray earnestly and sincerely for God's blessing upon the other person, God works in my heart to change me. STEP 6: I must earnestly seek to change my attitude toward that person. To be critical of another believer, or to not love him because he is not like me, is to fail to see God's wonderful plan. God wanted us to be different from each other! He made us all different that each of us might in a special way display the glories of Christ. When I see God's great plan, I will appreciate and esteem every believer because he is precious to the Lord and able in a special, unique way to manifest the glories of Christ. STEP 7: I may need to go see that person. Sometimes God works a miracle when we go to see a person and talk with him. We often find, to our surprise, love welling up in our heart for that person. 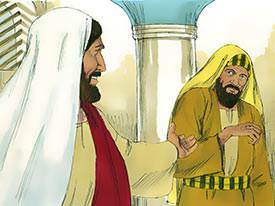 Jesus told the man with the withered arm to stretch forth his arm. As he obeyed the Lord, he found God's power flowing into him, enabling him to do what he could not do before. STEP 8: I must plan positive behavior. If you do not love someone, do for him what you would do if you did love him. You may say, "But wouldn't I be acting like a hypocrite if I did that?" No, you would not. You have within you Christ's life and your sinful self-life. You must choose which one you will express. It is not being hypocritical if you choose to express Christ's life and His love to someone even though you do not feel like it. What is John saying here? He is saying this, "No one can see God with his eyes. 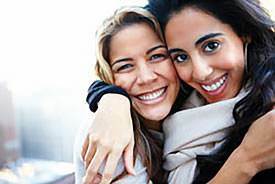 If we love one another, other people can 'see' the invisible God as they see His love manifested in us." This AGAPE love is powerful beyond measure. I am still in the same place of exile. There is a Godless society here; one of the members became especially attached to me. She said, "I cannot understand what sort of person you are; so many here insult and abuse you, but you love them all." She caused me much suffering, but I prayed for her earnestly. Barbara accepted Christ as her personal Savior and testified boldly of her faith in Christ before all. Because of her fearless testimony, she was beaten and imprisoned. 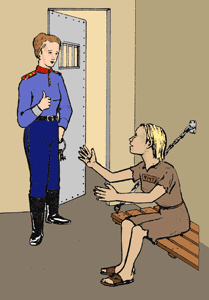 Yesterday, for the first time I saw our dear Barbara in prison. She looked very thin, pale, and with marks of beatings. The only bright thing about her were her eyes, bright and filled with heavenly peace and joy…I asked her through the bars, "Barbara, are you not sorry for what you have done?" "No," she firmly responded. 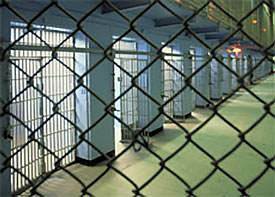 "If they would free me, I would go again and tell my comrades about the marvelous love of Christ. 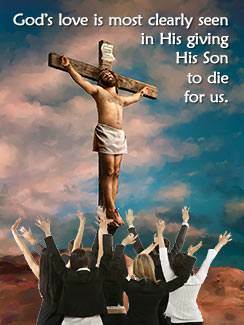 I am very glad that the Lord loves me so much and counts me worthy to suffer for Him."